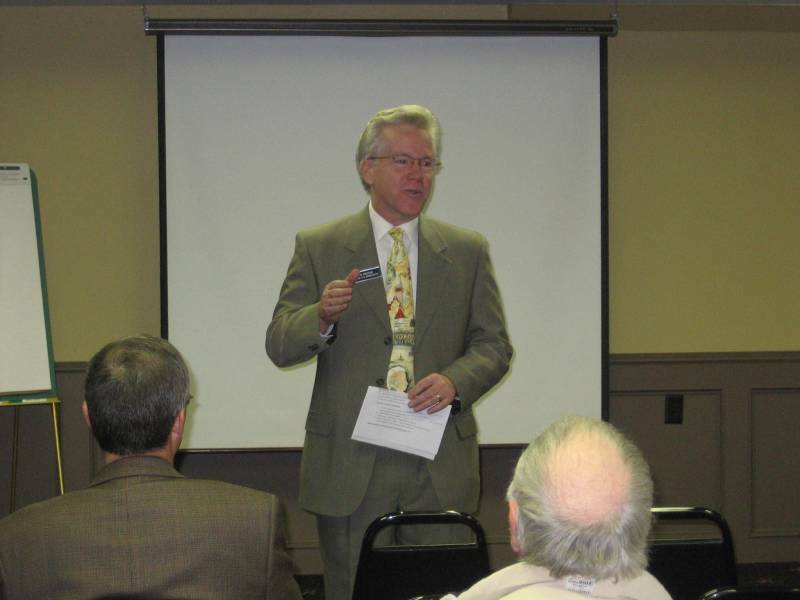 Interim City Administration Tim Madigan was the NDDC’s well-recieved Forum guest for November. With extensive experience, both professional and personal, his perspective on downtown and Northfield was of great interest. Tim’s first job in city administration was in St. Louis Park, a suburb of Minneapolis. However, his next three positions, Excelsior, Waseca, and Faribault, were in communities with historic downtowns. He noted that it is an on-going struggle for these historic business districts to remain vibrant and vital. He grew up in Washington, Pennsylvania, a town of about 15,000 near Pittsburgh, working at his parents’ store on Main Street after school and on weekends. Over the past thirty or so years, Tim has watched the impact of the changing economy on his hometown’s downtown. Northfield is relatively fortunate, Tim believes. Its downtown is in the top rank statewide in terms of economic viability. However, he recognizes that it faces many of the same challenges as other older business districts. Tim majored in history and his first job out of college was as a civics teacher. He says that Northfield is an intense, dynamic community, with a high level of citizen involvement and many people of strong opinions. It is exactly the behavior that he encouraged in his students. There is also greater volunteerism here than any other community he’s ever seen. Facing the big challenge of large cuts in LGA, Tim sees this volunteerism as a potential resource. He shared his preliminary goals as interim city administrator. They are: 1) support the Mayor and City Council on policy and decision-making, 2) lead city employees to assure delivery of quality services to citizens, and 3) work with community groups to make Northfield a better place. He noted that the City provides a very diverse range of services, including water and sewer, the public library, and police protection; and that this wide range of functions can make optimal performance challenging. Tim will work with staff to have the City gain additional credibility in the community. His goal is to have the City earn the same reputation for quality as other institutions in the community. As for Northfield’s economy, Tim advocates recognizing the existing drivers: the Highway 3 commercial corridor, the industrial base, the two colleges, and the downtown. He notes that Minnesota was once nationally recognized as a brainpower state. He believes that Northfield has the the human and institutional infrastructure to be recognized as a brainpower town. Tim suggested that the Crash is an opportunity for a paradigm shift. For Northfield, that could mean a greater awareness of our existing economic assets, an increased focus on their priorities, and a renewed commitment to give them what they need.